Dash, a portmanteau of “digital cash”, is a both a cryptocurrency and a decentralized autonomous organization (DAO). Like many other popular cryptocurrencies, Dash is a fork of Bitcoin. In the crypto world, a fork is when the blockchain of a cryptocurrency splits in two and a new cryptocurrency is created. Generally, the protocol of the new cryptocurrency will be a slight modification of the original. Dash was created in early 2014, making it one of the oldest popular Bitcoin forks. However, it only adopted the name “Dash” in 2015, having been originally called XCoin and later Darkcoin. As the “dark” prefix would suggest, privacy is one of the cryptocurrency’s main features. Unlike Bitcoin, you can send Dash totally anonymously using PrivateSend. This isn’t the case for all transactions; rather, PrivateSend is an optional and carries with it a slightly higher cost. Another advantage of Dash is InstantSend, which reduced transaction time to under a second. This is something which Bitcoin—at least not in its current state—certainly can’t claim to do. However, like PrivateSend, InstantSend is optional and costs a bit more. At the core of the Dash network are special nodes called Masternodes. These nodes are privileged nodes that process PrivateSend and InstantSend transactions. To run a Masternode, a user has to deposit 1000 Dash as collateral, which helps ensure the network remains decentralized. In exchange, they earn a 45% block mining reward. Of course, there’s more to Dash than just the payment system. Dash is a decentralized autonomous organization controlled by something known as Decentralized Governance by Blockchain (DGBB). The main function of DGBB is to democratically allocate funds for the development of the cryptocurrency. Proposals can be submitted by anyone for a small cost. Masternodes then vote on proposals, and accepted proposals are automatically incorporated into the budget and the funds are released to the proposer. Anyway, now that you’re broadly familiar with what Dash is, let’s look at which sites are the best for you to gamble it. In this article, we’re going to look at the best Dash sportsbook, casino and poker room. If you’re into poker, you’ll probably have heard of Americas Cardroom (ACR). It’s one of the leading stateside online poker rooms, with over a million hands played every day. The biggest advantage of playing at ACR is that you’re getting all of the benefits of playing at a legitimate fiat currency poker room. That means a support team that is ready to help you 24/7, a huge player pool and a massive selection of games running around the clock. The software itself is much better than any thing you’d get on a crypto-only website. The buttons feel snappy, and things move along at a quick pace. There isn’t any distracting visual clutter, so the action is always easy to follow. There’s also a four-colour deck option so you don’t have to worry about misreading suits. 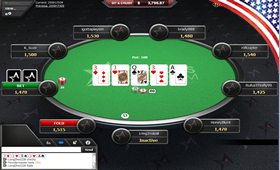 The lobby is well-designed, featuring a classic list-and-tabs layout that will be familiar to anyone whose used a desktop client to play poker before. In the lobby, you’ll be able to find a wide range of game formats, including cash games, MTTs and Sit & Go’s, in a variety of stakes.​ For all the info, visit our ACR Dash Poker page. FortuneJack is a veteran of the crypto gambling industry and has gained a strong reputation for its reliability. Deposits and withdrawals are always lightning-fast, and the support team is quick to respond to queries. ​What’s particularly great about FortuneJack is the diversity of its game selection. 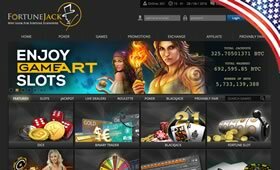 It offers hundreds of different slots, including favourites such as Immortal Romance, Jacks or better and Booster, as well as classic casino games like roulette and blackjack. What’s more, it has a comprehensive suite of live dealer casino games (operated by an actual dealer rather than just software) that run around the clock. Finally, it offers a simple but surprisingly enjoyable “Dice” game, where you can bet on the result of a random number generator. Gambling doesn’t get much purer than that. If you’re still on the fence, then it may be worth taking a look at their generous list of promotions. First-time depositors get a 110% bonus worth up to 1.5 BTC as well as 25 free spins. Repeat depositors have a chance to win a 50% bonus every week up to 3.5 BTC. Finally, loyal customers can receive up to 20% of their losses back at the end of every month.​ Find out more at our Dash FortuneJack page. 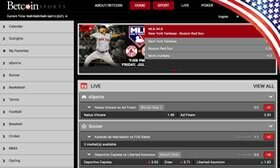 Betcoin is a hugely popular crypto sportsbook that offers a broad range of sports and bet types. Sports on offer include soccer, basketball, tennis, baseball, American football, rugby and boxing, as well as a few e-sports like Dota 2 and Counter-Strike: Global Offensive. The odds themselves are always competitive, and are certainly better than what you’d get down at your local fiat bookie. If you know what you’re doing, there’s certainly money to be made here. The user interface is responsive and easy to navigate, if a bit unimaginative. If you’re a veteran of online sports betting, you’ll feel right at home. Otherwise, you may want to a bit of reading, because the layout can be a bit confusing for a newcomer. Fortunately, the site is very reliable: we’ve never encountered any technical problems, and the support team, which can be be reached at support@betcoin.ag or using their ticket system, is always quick to respond. If you’re thinking of giving Betcoin a go, head to the Dash friendly Betcoin sportsbook. Users are eligible for a 100% First Deposit Bonus worth up to 1 BTC as well as a free spin on their first deposit after becoming a Bronze Level II VIP.